Irish flyweight Blaine O'Driscoll has reacted to the news that his Cage Warriors flyweight title fight has been cancelled. SBG Ireland’s Blaine O’Driscoll has reacted to the news that he won’t be fighting for the Cage Warriors flyweight title on Saturday evening. Yesterday afternoon, Cage Warriors President Graham Boylan announced via Twitter that the Cage Warriors 99 title fight wouldn’t be taking place after the champion Nathan Greyson informed the promotion that he wouldn’t be making championship weight for the fight. “As most poeple know my fight is off this Saturday. My opponent refused to make weight yesterday evening and won’t fight Saturday. “I love training so time spent grinding for the last 8 weeks does not bother me, but I had organized time off work and a lot of people had set aside their life and spent a lot of money to come to London to see me take that belt all all this time and money has been wasted. “It’s a joke how this can happen with a so called champion. Don’t sign to fight if you know you can’t make the weight and waste everyone’s time. 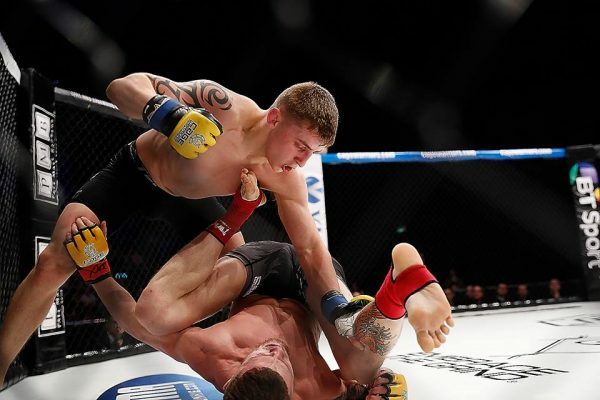 “Thanks to Coach Kavanagh and Cage Warriors for helping me any way they can. Cage Warriors are yet to announce whether Greyson will be stripped of the Cage Warriors title. The new main event for Cage Warriors 99 will be contested by Jason Radcliffe and James Webb.